Awarded annually since 1901 by the Nobel Foundation, Stockholm. Shiller was on the University of Pennsylvania faculty from 1974 until 1982. Nobel Foundation information on this award. Sargent was on the University of Pennsylvania faculty for three semesters, from January 1970 until June 1971. Negishi earned his Ph.D. in Chemistry from the University of Pennsylvania, doing his dissertation work under Professor of Chemistry Allan Day. Wilson was a member of the University of Pennsylvania’s Department of Economics from 1965 to 1983, serving as Associate Professor, 1965-1968; Professor, 1968-1983; Charles and William L. Day Professor of Economics and Social Science, 1977-1983. Awarded for the invention of an imaging semiconductor circuit – the CCD sensor. Charles K. Kao was the third recipient, for his work in fiber optics. A.B. in physics from the University of Pennsylvania in 1955. After earning his Ph.D. from the University of Chicago, Smith joined Bell Labs where he attained 31 patents, including one in 1969 for his work with Boyle on the CCD. Awarded for for his discovery of human papilloma viruses causing cervical cancer. The other half of the prize was shared by Françoise Barré-Sinoussi and Luc Montagnier for their discovery of the immunodeficiency virus. Assistant professor, 1968-1969, while working at the Virus Laboratories of Children’s Hospital. Educated at the Universities of Bonn, Hamburg and Dusseldorf, zur Hausen returned to Germany in 1969 to continue his research and teaching. From 1983 to 2003 he served as professor of medicine at the University of Heidelberg and as a chair and member of the scientific advisory board of the German Cancer Research Center. Awarded for his analysis of intertemporal tradeoffs in macroeconomic policy. Phelps was a professor in the Economics Department at the University of Pennsylvania from 1966 to 1971. With Finn E. Kydland (Carnegie-Mellon University and the University of California Santa Barbara). Awarded for their contributions to dynamic macroeconomics: the time consistency of economic policy and the driving forces behind business cycles. Prescott came to Penn in 1966 as a lecturer in the Economics Department. He was an assistant professor here from 1967 to 1971. With Aaron Ciechanover and Avram Hershko (Technion-Israel Institute of Technology, Haifa, Israel). 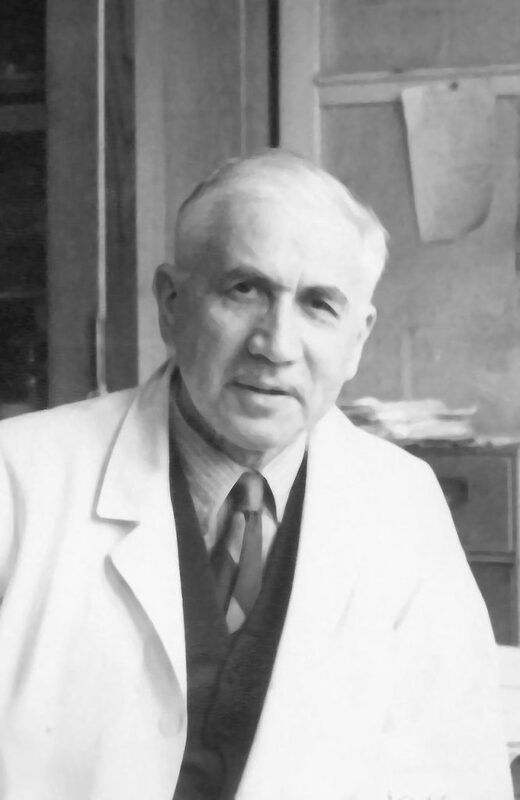 Awarded for the discovery of ubiquitin-mediated protein degradation. Rose joined Penn’s faculty during the 1970s. Rose was awarded a Guggenheim Fellowship in 1971 while he was Professor of Physical Biochemistry at Penn and a senior member of the Institute for Cancer Research in Philadelphia. With Masatoshi Koshiba (University of Tokyo, Japan) and Riccardo Giannoni (Associated Universities Inc.). Awarded in recognition of their groundbreaking research into the emission of neutrinos produced by nuclear fusion reactions in the center of the sun. The observation of these neutrinos demonstrated conclusively that the sun is powered by the fusion of hydrogen nuclei into helium nuclei. Davis joined Penn’s faculty in 1985 after 37 years at Brookhaven Lab. Davis has also received the 2001 National Medal of Science from President George W. Bush. MacDiarmid joined the University of Pennsylvania faculty in 1955 and was named Blanchard Professor of Chemistry in 1988. Heeger was a member of Penn’s Physics faculty from 1962 to 1982 and was Director of the Laboratory for Research on the Structure of Matter from 1974 to 1980. Awarded “for his discovery of Prions – a new biological principle of infection.” This new class of pathogen is now accepted as the infectious agent in “mad cow disease” and in human neurodegenerative diseases such as Creutzfeldt-Jakob disease. Awarded “for the creation of econometric models and the application to the analysis of economic fluctuations and economic policies.” These models have been designed to forecast economic trends and shape policies to deal with them. with John Bardeen and Leon N. Cooper; Awarded “for their jointly developed theory of superconductivity, usually called the BCS-theory,” where electrical resistance in certain metals vanishes above absolute zero temperature. with Stanford Moore and William Howard Stein; Anfinsen’s award was “for his work on ribonuclease, especially concerning the connection between the amino acid sequence and the biologically active conformation”. Awarded “for his empirically founded interpretation of economic growth which has led to new and deepened insight into the economic and social structure and process of development.” This interpretation developed the concept of using a country’s gross national product to determine its economic growth. with George Wald and Haldan K. Hartline; Awarded for work on the human eye. with Rudolpf Mössbauer (Germany). Hofstadter’s award was “for his pioneering studies of electron scattering in atomic nuclei and for his thereby achieved discoveries concerning the structure of the nucleons.” Hofstadter was thus able to determine the shape and size of the atomic nucleus.